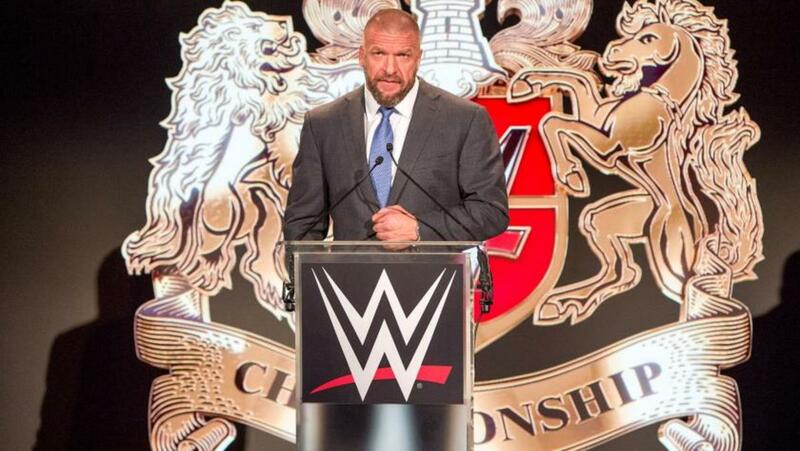 WWE held a press conference this morning in London to announce the inauguration of the United Kingdom Wrestling Championship Tournament, a 16-man single-elimination tournament to crown the first WWE United Kingdom Champion. The two-day affair, to be shown live on the WWE Network, will be held on January 14th and 15th, in Blackpool, a town in north west England close to the heart of NXT commissioner (and one of WWE's heads of development) William Regal. The show clashes with PROGRESS Wrestling's debut show in Birmingham, and Preston City Wrestling have acted quickly to announce matinee shows in Blackpool on the days of the WWE events. In the early 2000s there was talk of WWE opening a UK office but nothing came to fruition. The carrot was dangled, however, that this tournament could lead to a dedicated UK territory, with a show on the WWE Network, much in the way that the Cruiserweight Classic led to 205 Live. At the press conference, Regal was at pains to stress that this was not a response to the forthcoming relaunch of ITV's World of Sport show, although the timing is nothing if not coincidental. However, it must be stressed that the wheels move slowly in big corporations, so it may just be that -- a huge coincidence. The UK scene is at its hottest point for well over 30 years, with a slew of critically (and financially) successful promotions, and a deep talent pool produced by training schools like the ProJo, the House of Pain, Glasgow Pro-Wrestling Asylum, and more. The full list of talent released for the tournament includes 18 names, presumably including a couple of alternates in case of injury. It includes Wolfgang, Trent Seven, Pete Dunne, Tyler Bate, Sam Gradwell, James Drake, T-Bone, Tucker, Jordan Devlin, Joseph Conners, HC Dyer, Chris Tyler, Roy Johnson, Dan Moloney, Jack Starz, Tiger Ali, Ringo Ryan, and Saxon Huxley. Seven and Dunne (and latterly Bate) form the tag team of British Strong Style, who are PROGRESS Tag Team Champions. Dunne is also a double singles champion, currently holding the PROGRESS and Fight Club: PRO titles, while Seven recently won a number one contenders' match for Wolfgang's Insane Championship Wrestling Heavyweight Championship. Seven, Dunne, Bate, and Dan Moloney are all regulars for Fight Club: PRO, a promotion co-owned by Seven. Drake, T-Bone, and Gradwell (who wrestles as Ricky J McKenzie) are fixtures on the north west scene, while Jordan Devlin and Pro-Wrestling Ulster's Tucker bring an Irish flavor to the contest. Tiger Ali is a former 4-Front Wrestling Champion who has caught the eye of Ultimo Dragon and main evented Arena Mexico. Conners and Dyer are graduates of Stixx's House of Pain school, and they both work regularly for Southside, where Conners is a former Heavyweight Champion and Chris Tyler currently holds one-half of the tag team titles titles (with Stixx). ProJo trainee Johnson works a powerlifter gimmick for PROGRESS, and the field is rounded out by All-Star Wrestling's Ringo Ryan, the Robbie Brookside-trained Jack Starz, and former Lance Storm student Saxon Huxley. What does that mean for PROGRESS & ICW? The vast majority of UK wrestlers are free agents, so there is little that PROGRESS, ICW, OTT -- or any other promotion for whom these wrestlers work regularly -- can do about what looks on the surface like an audacious talent grab. However, many of these promotions have close working ties with WWE, and their talent and officers, and it is hard to imagine that there haven't been at least preliminary discussions before today's public reveal. One possibly unforeseen complication, given the lead time usually required for such projects, is that PROGRESS' debut show in Birmingham looks -- at least at present -- to be without the promotion's Heavyweight and Tag Team Champions, and the British Strong Style stable are the hometown heroes for that date. However, this may open up opportunities to others from the region who previously have been overlooked by the promotion. Aside from those signed to TNA (Drew Galloway, Bram, Grado, and Rockstar Spud), the big names missing are Zack Sabre Jr., Marty Scurll, and Will Ospreay, and the latter two are under contract to Ring of Honor (with Ospreay under a New Japan contract to boot). Other stars of the UK scene you would have expected to see are Jimmy Havoc (possibly not PG enough), Mark Andrews (has been working TNA of late), and Nathan Cruz (who had an NXT tryout on his recent US tour). Also missing are those who signed up to the World of Sport revival, a list which includes scene heavyweights Dave Mastiff, Joe Coffey, Rampage Brown, El Ligero, Bubblegum, Sha Samuels, and Kenny Williams, among others. Lastly, also not named was Nick Aldis, whose wife Mickie James just signed to return to WWE and who presumably will base himself in the US. That may also account for Sabre, who will become a US-resident in 2017. For now this is just a one-off, but it may lead to a regular show on the WWE Network, and the formation of a regular WWE UK promotion, run similarly to NXT. Whether this would be stand-alone, or promoted in conjunction with "friendly" promoters like PROGRESS, is anyone's guess. This may also account for the rumors of contracts offered to UK wrestlers that Dave Meltzer has reported on recently, which were described by some as preventing talent working for anyone the WWE considered to be competition -- again, presumably, the partner promotions would still be on safe ground. Outside the WWE UK project, the World of Sport revival show is confirmed for a New Year's Eve broadcast on ITV, and there is still talk of a touring promotion -- and regular series -- spinning out of it if it is successful. Adding to the confusion is FloSlam's entrance into the UK and Irish market, signing up IPW:UK and OTT for broadcast on their streaming network, which may affect talent who have signed to WWE UK deals. 2016 has certainly not been a dull or predictable year for wrestling, UK and worldwide, and the last sputtering days of the year show no sign of slowing down. No one could have predicted this happening, and it's nothing short of fascinating for followers of the sport, regardless of nationality. Stay tuned, there's bound to be more to come.